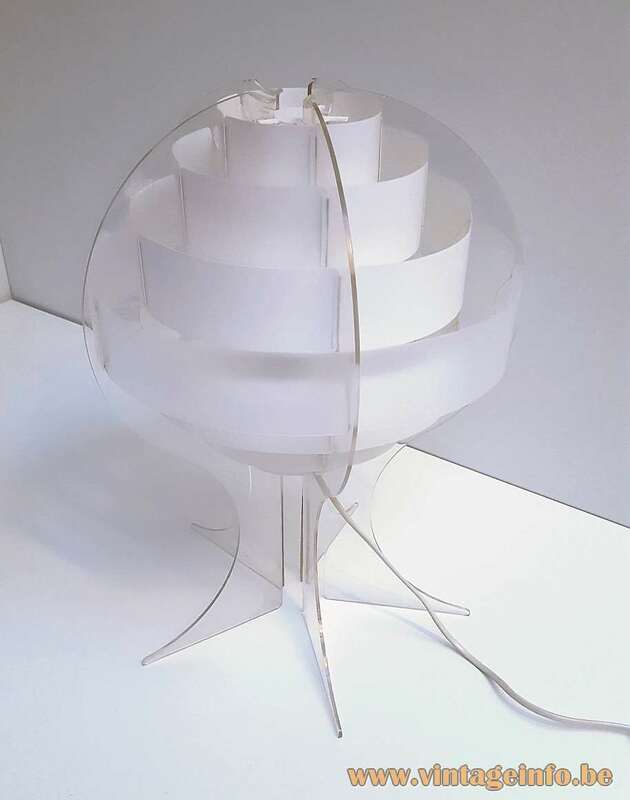 Materials: Round lamp on four legs made of clear acrylic and white PVC, Bakelite socket. Any type of light bulb can be used, but a white/opaque or frosted bulb is preferred. Designers: Flemming Brylle & Preben Jacobsen. Manufacturer: Quality System, Dragor, Denmark. Other versions: Also made in smoked acrylic, as you can see below. 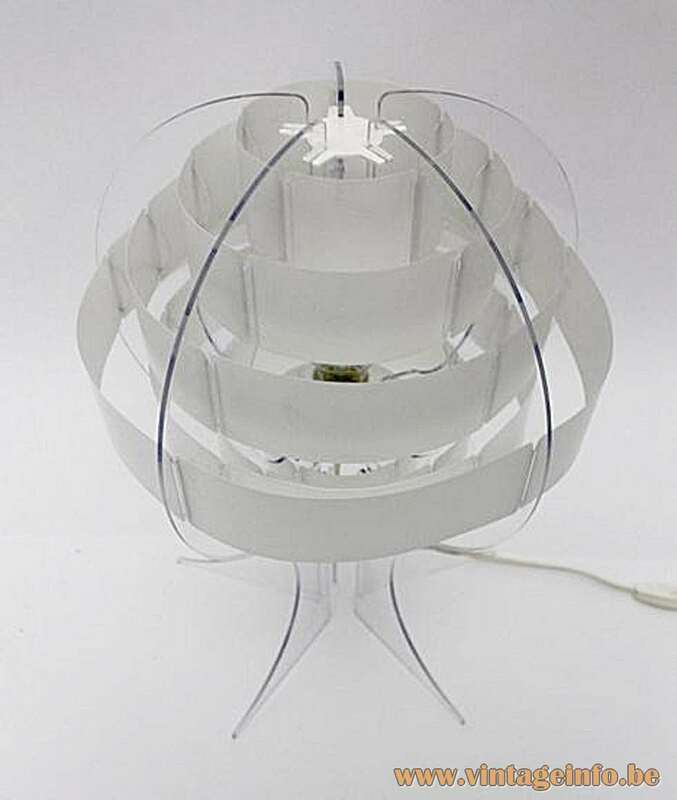 Made as a pendant lamp. Several other lamps in this style were produced. 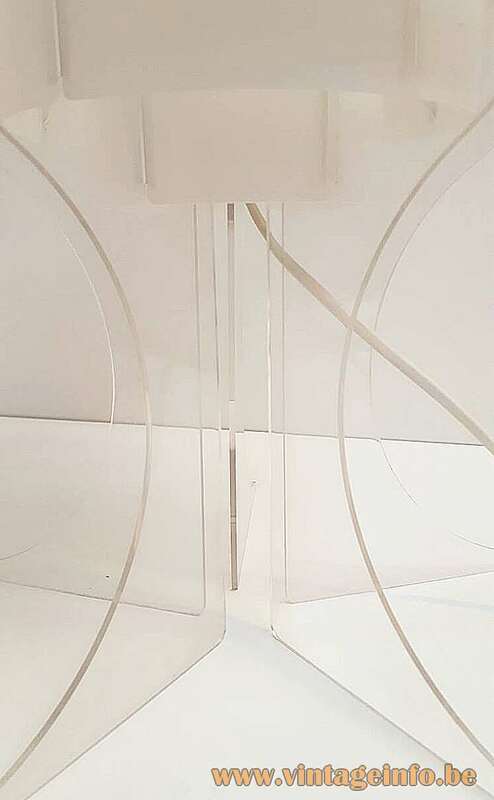 The Strips table lamp is made of clear acrylic and white PVC. 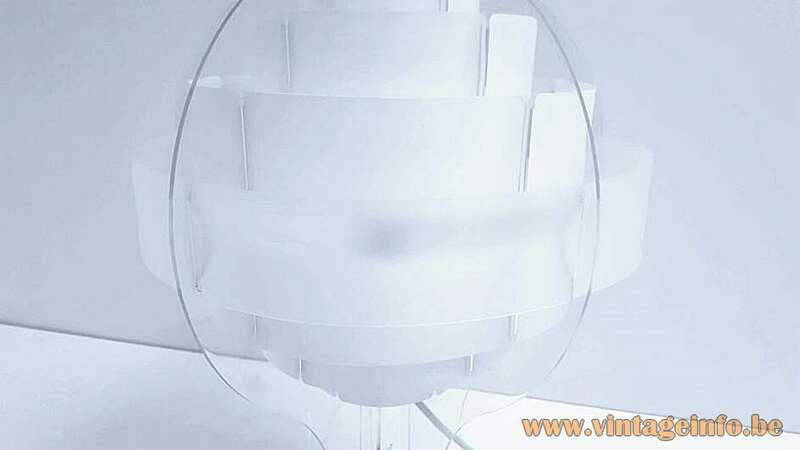 The flexible rings (strips) are opaque, except for the outermost transparent ring. Each ring overlaps the next one, which creates a very special light effect. 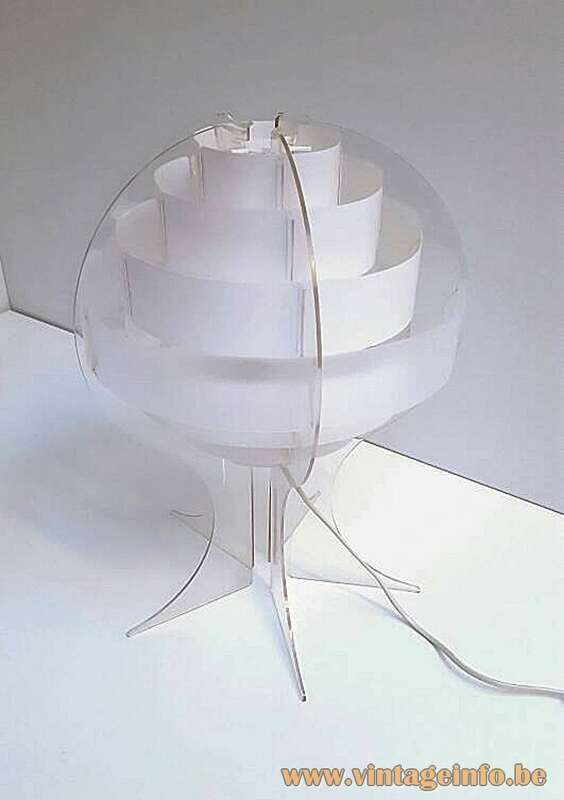 Artist Flemming Brylle (born 26 august 1935) and industrial designer Preben Jacobsen designed this table lamp in 1965 when they founded their company Quality System. The company ended business in 1985. In 2003 Flemming Brylle and Preben Jacobsen re-established the company and produced new retro-style designs. Until a few years back they were in the design board of Quality System, mentoring the young team, and ensuring the steady flow of new designs. The company CEO today is Christian Brylle, son of Flemming Brylle. Flemming Brylle is still mentoring the younger designers. 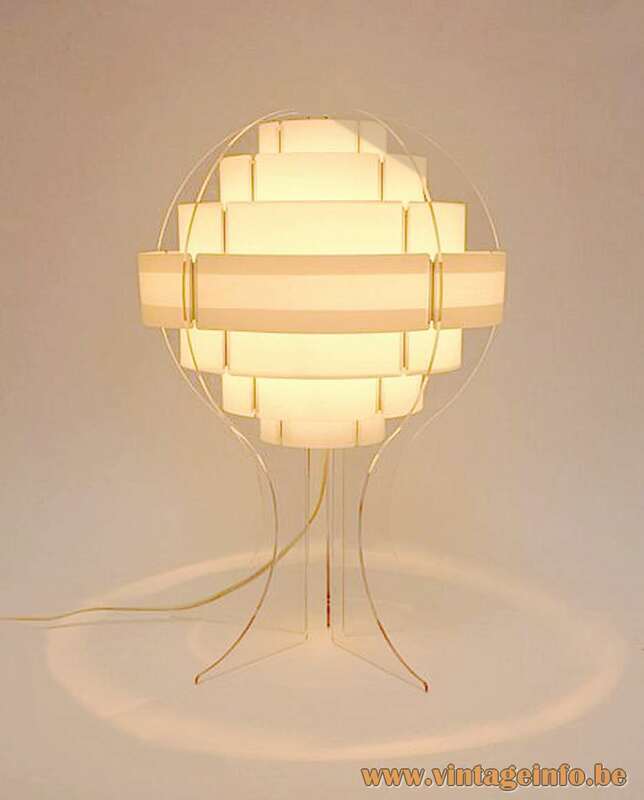 Many designers created lamps for the company, among others the famous Morten Gøttler. 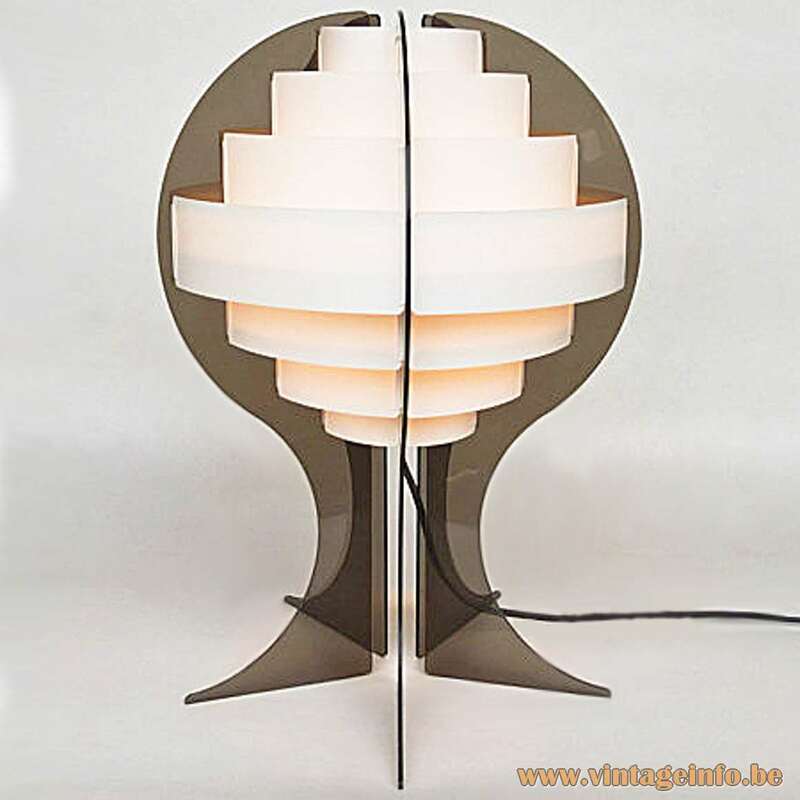 He designed the Oscar and the Diamond pendant lamp and several other lamps. 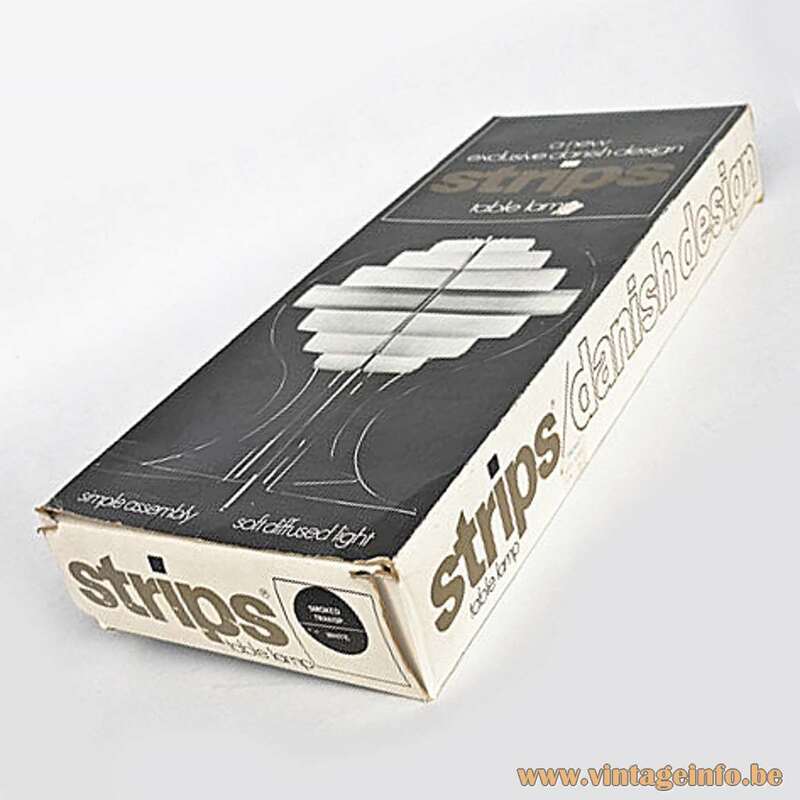 Often said that he designed the Strips lamp. 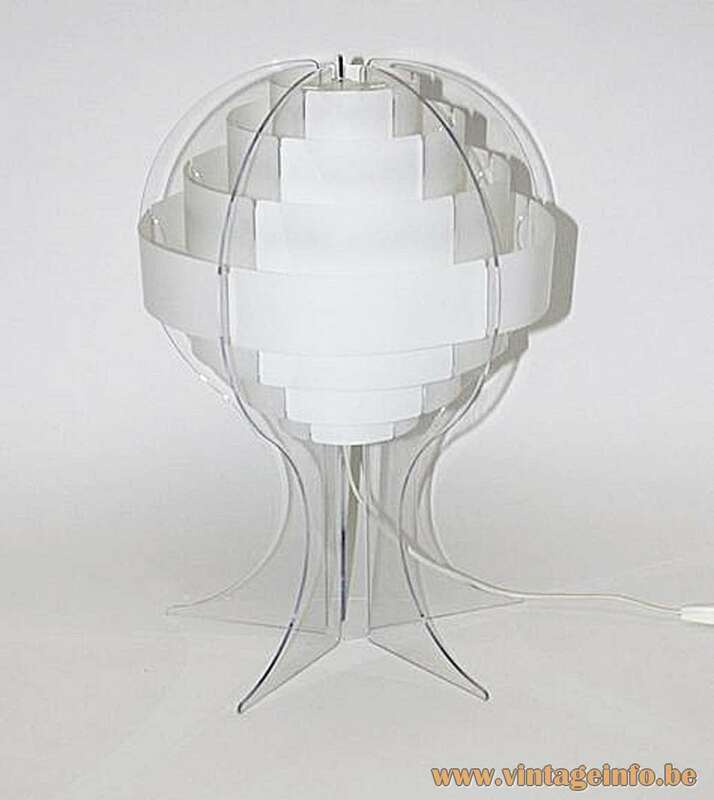 In the 2000s IKEA sold the pendant lamp and table lamp as Lakene lamp. 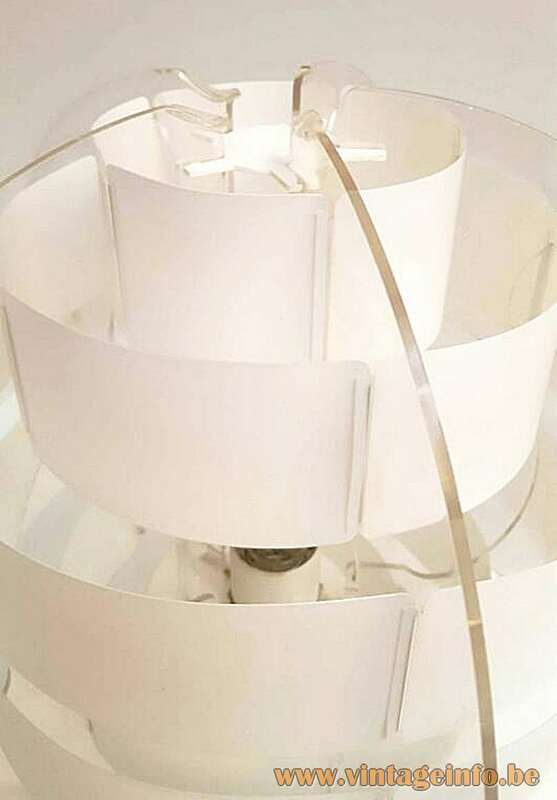 The name Lakene was re-used and today (2018) it is a LED recessed spotlight. Many thanks to Marjan from Vintage Drachten for the beautiful pictures, text and the enthusiasm.